Great post! 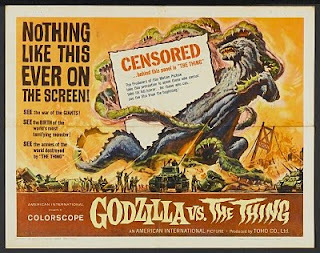 Though I watched Godzilla movies on TV Saturday afternoons like many of my generation, and loved them, I must admit my adult G-movie experience has been quite limited. 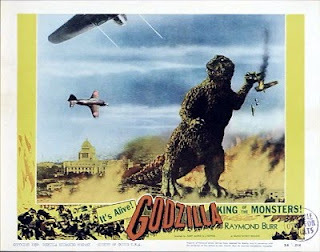 Still, it's not hard to appreciate giant monsters and atomic fear-subtext. 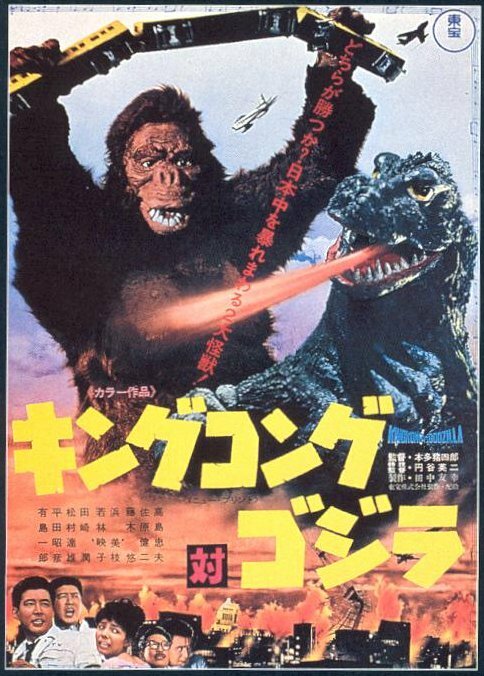 I don't think we've got a Kaiju entry on MMMMMovies--maybe it's time I rectified that. Wow dude, I have never seen any of these! 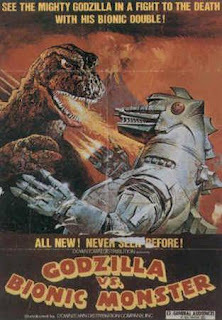 I told you I was going to start a Godzilla marathon soon...and its bound to happen at some point! 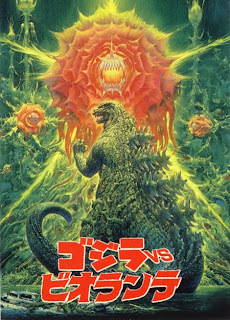 I'd love to start with that original (Gojira) and follow it with the one where he fights that plant creature (Biollonte is it?) which looks pretty cool! Thanks for that awesome list, I will no doubt feed from it in the days to come. Good list, I'd put SEA MONSTER (Fukuda's best entry I think), HEDORAH, RETURN OF GODZILLA/84 and KING GHIDORAH though instead of KING KONG, ALL MONSTERS/REVENGE, MEGAGUIRAS and MECHAGODZILLA 2002 though. I've written a Godzilla script mostly for fun. It's even darker than Kaneko's with a tone kind of like VIRUS by Kinji Fukasaku but with an element of brutal political satire tossed into the mix. 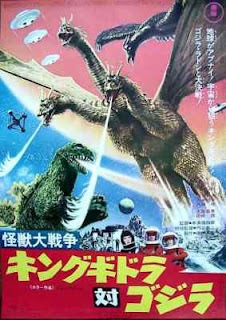 America gets the blame for causing these monster attacks (nuclear testing), George W. Bush is the villain and the US army gets deployed to Tokyo where they make total asses of themselves before firing a nuclear missile at Godzilla which only makes him stronger. Godzilla destroys Los Angeles at the end and fights the mythological Yamata no Orochi. @ Vicar: Some of us grow out of these things, but they're great for nostalgic reminiscing if you wanna feel like a kid again. 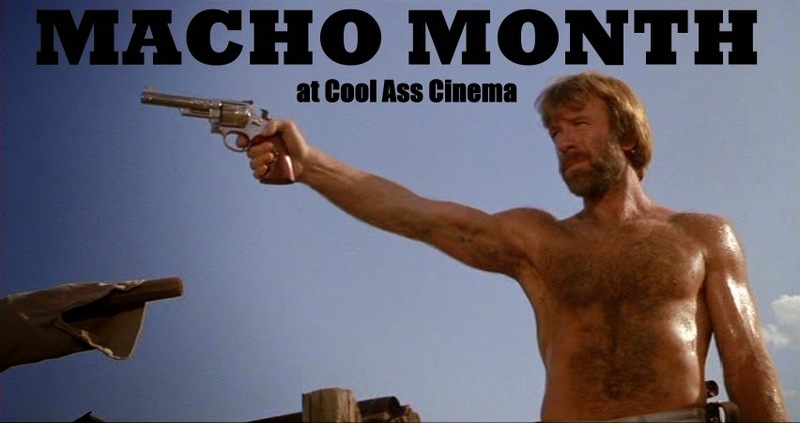 For the esteemed MMMMMMovies site, I'd like to make a suggestion and maybe a classic review mixed with a newer one? @ Fran: Actually, Fran, you were the main reason I wrote this last night. I recalled that you were curious about some of the movies so I thought I'd whip up a list of titles I think are choice. Granted, there are other movies in the series I think are good, but these are the cream of the crop for me. @ J.L. : Dude, I hear ya! 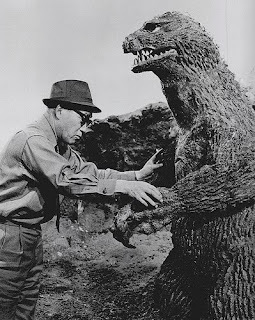 I wrote me a script outline for a Godzilla flick, too, a number of years ago. I flirted with stretching it out to feature length at some point. Mine was a bit similar to Carpenter's THE THING and was pretty gruesome and dark as hell. 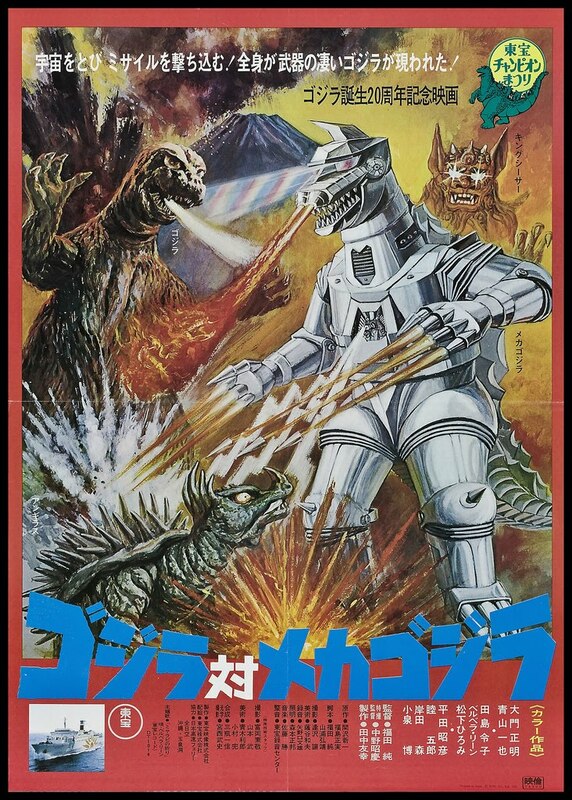 I did have GODZILLA '84 on here and took it off last minute. I think KING GHIDORAH is mostly awful save for a few spots particularly the scene where Godzilla remembers the old man before flaming him in his building. Best scene in the movie, I think. It does finally get good during the finale, though. 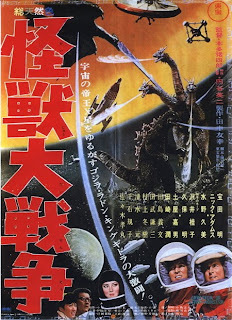 The Japanese cut is a bit better, but the gaping plot holes are still there. I would have liked to have seen Omori do another G film, though. @ Sam: Wow, I wish we had something like that close by me. They have these kinds of film fests in Durham once in a while, but it's not advertised, at least not out my way. 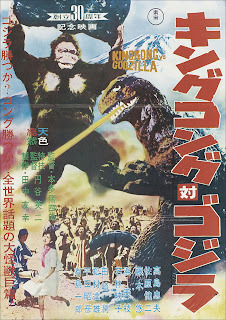 The original version of KKVS.G is more humorous, at least more than I was expecting it to be the first time I saw it after a friend of mine made fansubbed versions of all the movies. They both are worth watching, if not for comparative purposes. SMOG MONSTER's not a fave of mine, but I do like it. 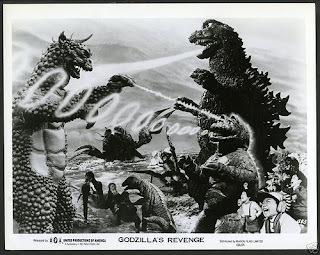 Yeah I saw GODZILLA 2000 in theaters, too, and hated the treatment it got. 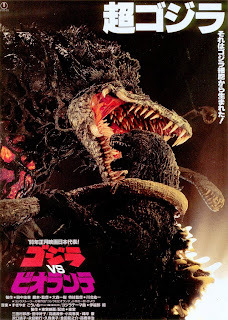 I already had the original Japanese version and it was no great shakes, but the dubbed version was ridiculous as expected and that ATTACK OF THE KILLER TOMATOES 'The End?' 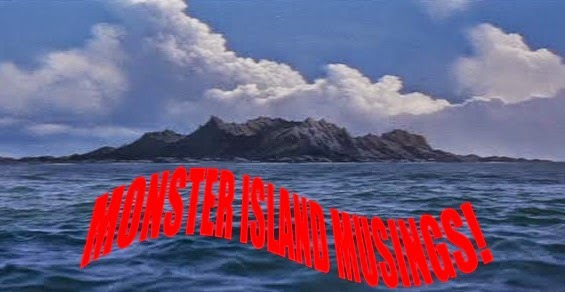 title card was like a slap in the face. 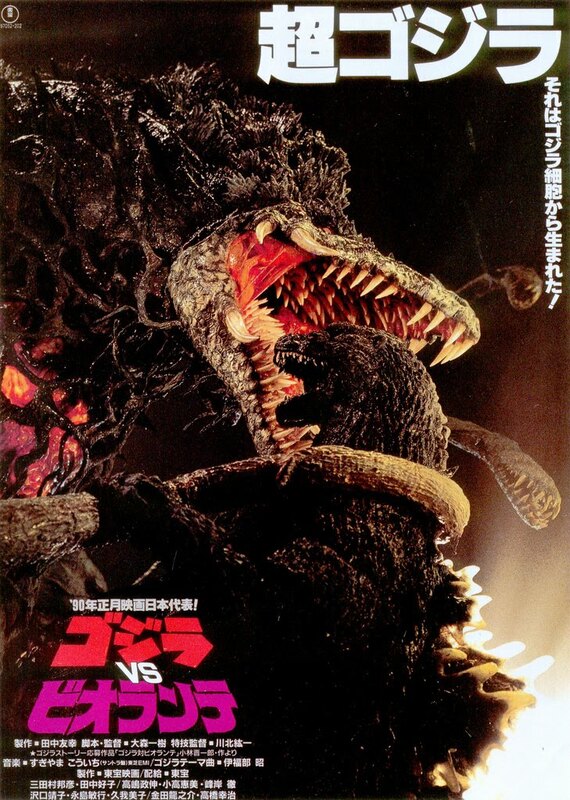 I also saw GODZILLA 1985 in the theaters and, at the time, thought it wasn't too condescending, but the original Japanese version is vastly preferable there, too. Wow, cool man, thanks for making this post, it will certainly prove useful! I'm a rookie when it comes to Godzilla movies, but I will quickly remedy that; already put the original Gojira at the top of my q! 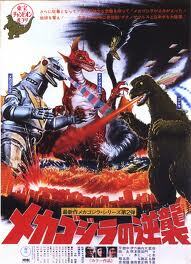 I should have the 10 Worst & Most Disappointing Godzilla movies up this evening, too. Brian, totally agree about the BIOLLANTE love, after the original and possibly GMK, it could be my favorite entry, period. 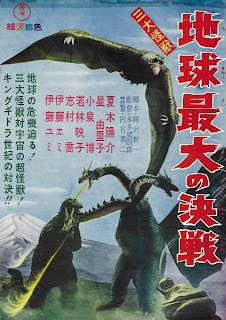 I love what Omori brought to the series (hence my affinity for KING GHIDORAH as well). 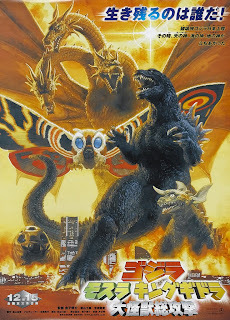 Whether one likes or not, he definitely had vision and I really wish he had directed MOTHRA and DESTOROYAH. I wish Kinji Fukasaku had gotten to make a Godzilla movie. 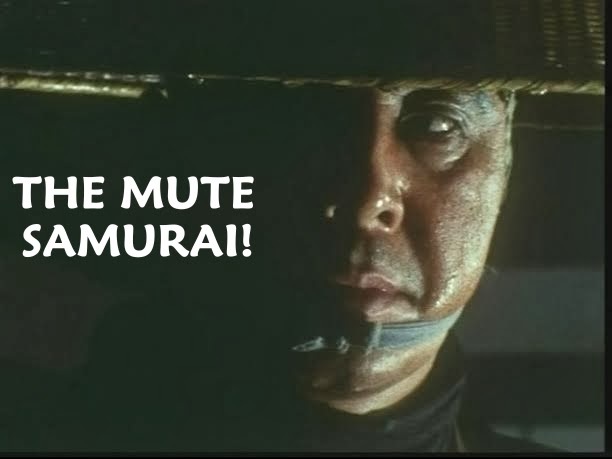 Would he have done either really dark and serious and even darker and more human tragedy oriented than Honda's original ala VIRUS or his yakuza movies or would he have done it all campy and glamorous ala BLACK LIZARD, MESSAGE FROM SPACE, EIGHT SAMURAI, etc, who knows. Ironically, the dub of MAN BEHIND THE SUN is done with almost exactly the same voice cast as BIOLLANTE, it's a surreal experience indeed. 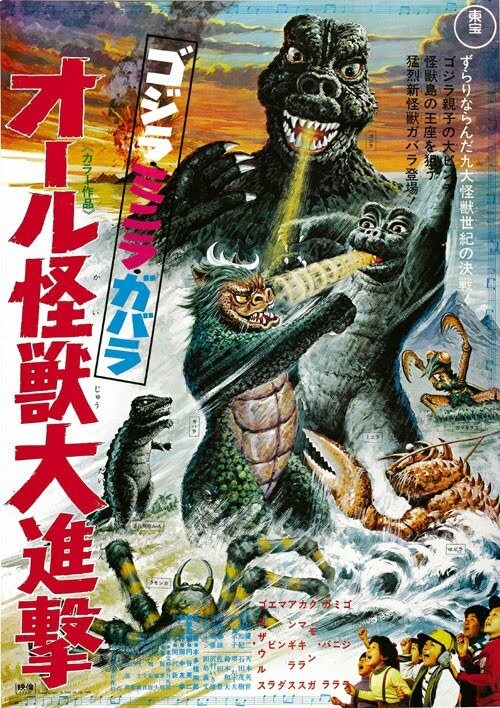 I also agree that ALL MONSTERS isn't that bad. 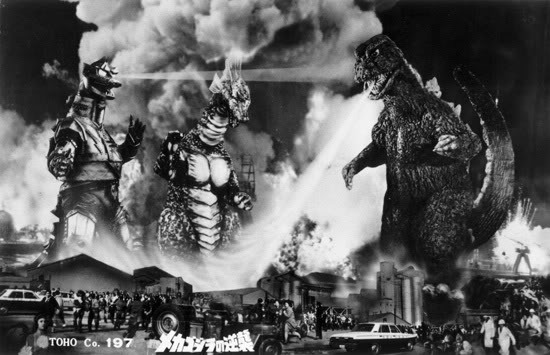 My impression now is that it's not even supposed to be part of the series' timeline, it's set in the real world where Godzilla is a fictional character I think and all the monster scenes are daydreams with absolutely no precedence in reality. It's more enjoyable when approached with that mindset, it's just about a boy's sort of inner struggle. Ah! I believe I saw some of those very same books at my elementary school library, venoms5! Of course, I haven't seen all the Godzilla movies, but having been down your "12 Best" list, I agree on those I've had the pleasure to look at! After Gojira, I like both versions of Mothra VS. Godzilla; the English version keeps fairly faithful to the Japanese version. Before Steve Austin and the Bionic Bigfoot, we had Godzilla VS. Mechagodzilla; so much pure fun! Has there been an import DVD release of the Japanese version of King Kong VS. Godzilla? 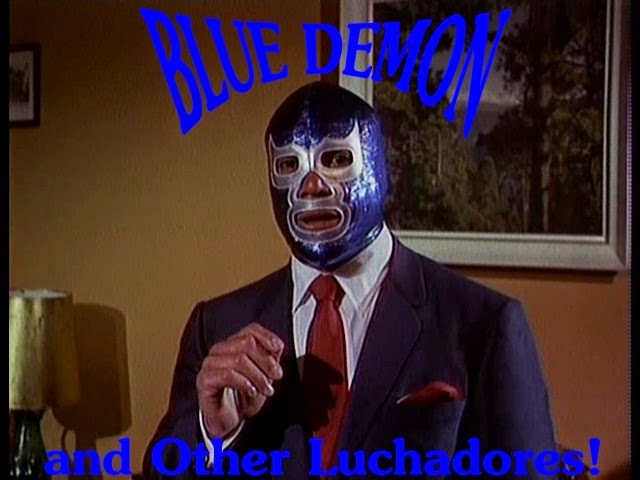 If only Universal had that coupled with the English one like the Sony reissues. I still have yet to see Biollante and 1-2 of the other films, but I plan on finding copies before I go through the series for a second time. Excellent assembly here my friend, a great combination of review, commentary, and nostalgia. Thanks, Carl! I think you will not be disappointed with BIOLLANTE. 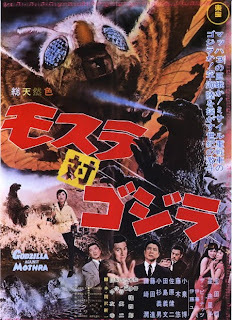 It's very different from the typical Godzilla movie. Very original and unusual. @ Fang: Sorry, Fang, I seem to forgotten to respond to you, apologies! I think the MOTHRA VS. GODZILLA was likely the most faithful, respectful English version to the series in terms of presentation. Only the English version is available in America, sadly. There's gorgeous quality boots of the original, though. 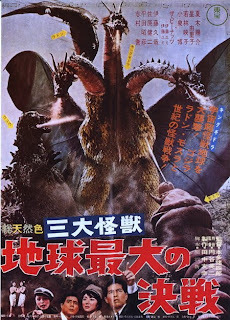 Well, the Japanese print wasn't in the best of shape, but it was all they had. It's good, just not as stunning as some of the company's other releases. @ J: I've always had a soft spot for GODZILLA'S REVENGE. Ever since seeing it on the late, late movie on ABC in the early 80s. One of the main reasons I like it is I used to be a latchkey kid, too. Omori really hit BIOLLANTE out of the ballpark, but kind of stumbled a bit with ambitious beyond its means KG. Still feeding off of this article! 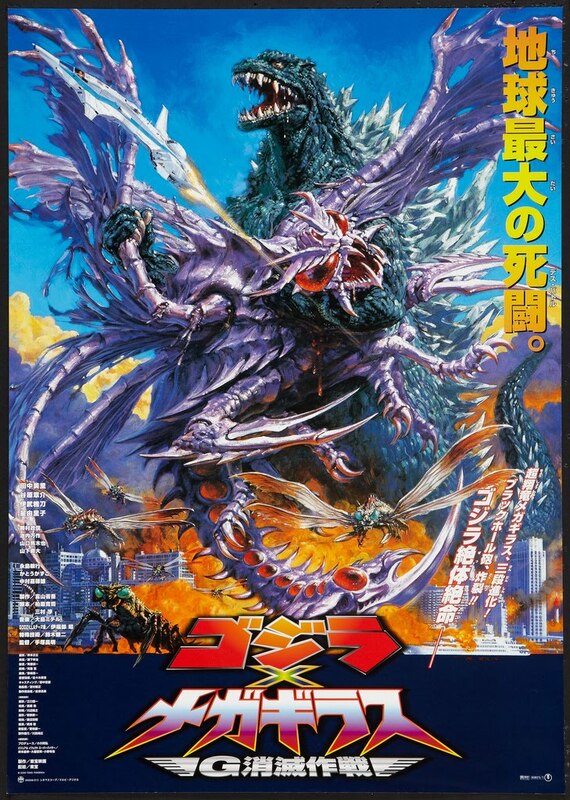 Im salivating to see Biollante, it just looks so different than all the other ones. I think the Weinstein's own BIOLLANTE in America. So who knows if or when it will surface. GODZILLA (1984) has yet to surface on DVD, either, in its original unabridged version. I buy Godzilla movies at the mall, and they have a pretty healthy stash of G-Movies, but they sell out fast! 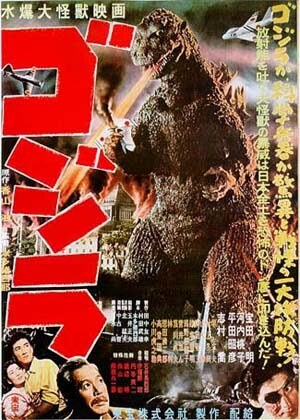 I wanted to buy Godzilla 2000 but someone snatched it away last week! They should make these available, all of them, even the ones that they think wont sell, people love these movies! I saw G2000 in the theater after having gotten the Japanese DVD. There was about ten minutes of differences if I recall. 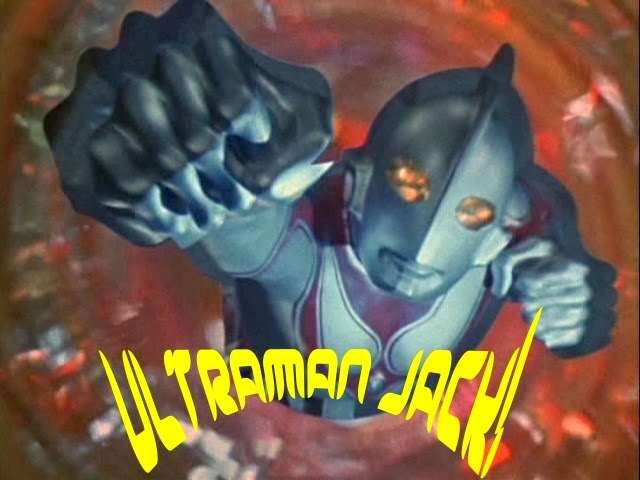 I thought the English dubbed version was horrendous, though. Absolutely stupid dialog and the theatrical version had this ridiculous 'The End?' title card font laid over the last shot. It was removed for the DVD release, though. 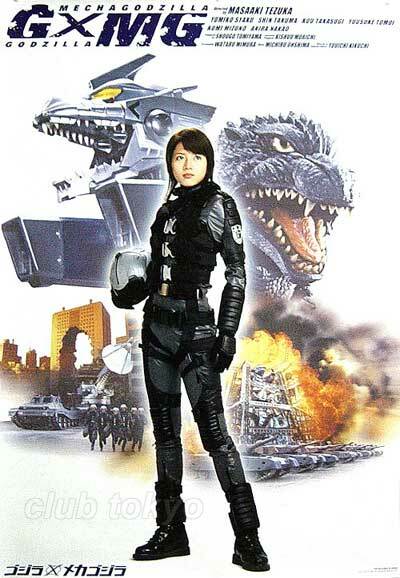 Speaking of GMK,what do you think of the gamera films from the 90s? 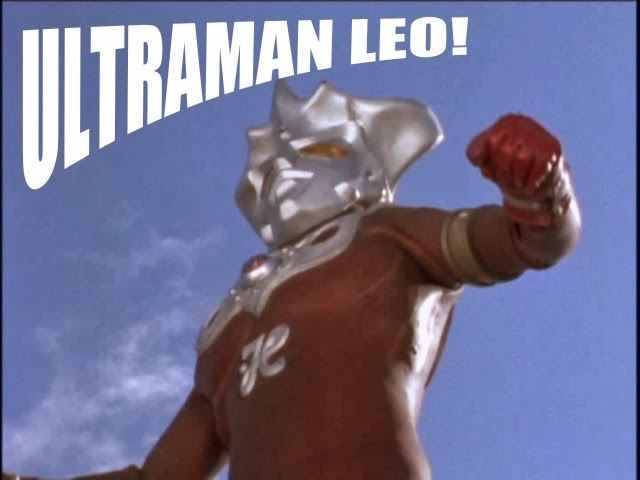 Hi, Gialloman. I recently re-watched those three Gamera films from Kaneko. I enjoyed the overly dark, adult nature of all three. 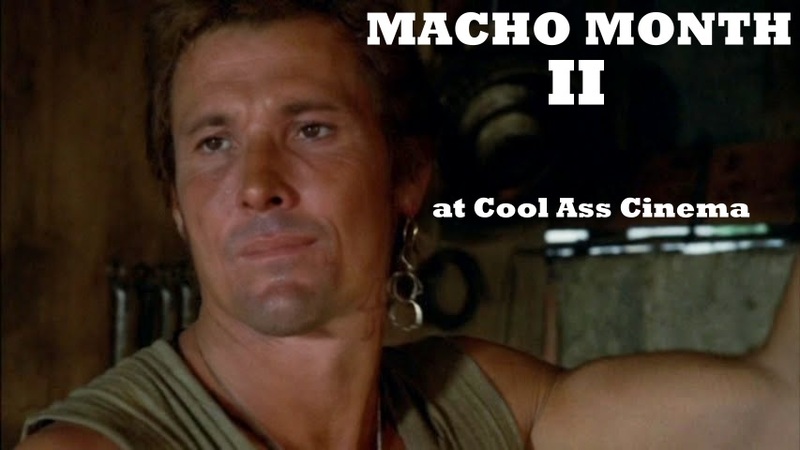 The second is my favorite of that trilogy. The third is good, but gets too bogged down with dialog much of the time. That last scene was incredible, though. 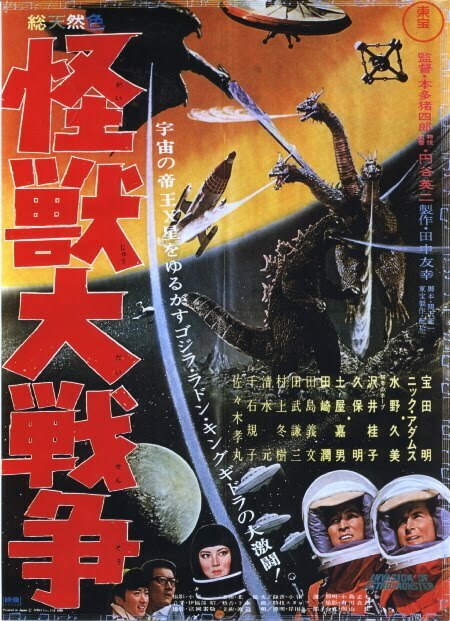 The lighter in tone fourth Gamera movie was pretty good, too. I was hoping they'd continue making them, but I think the box office wasn't so great for it.